Published by Mountainblog on 07/14/2014 . This lightweight rain jacket is designed specifically for trail running, with active venting, a deployable hood and waterproof/breathable fabric with a high-texture backing that makes it comfortable to wear during aerobic activity. 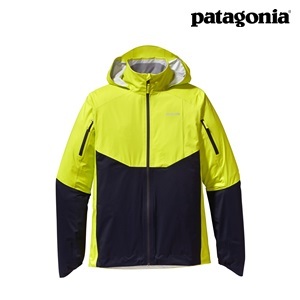 100% nylon waterproof ripstop with a DWR (durable water repellent) finish.